At Sacrewell, we’re very realistic about the fact that we’re a farm and we keep and breed animals for food. In that sense, we usually wouldn’t report on the death of an animals, but sometimes those animals find a special place in our hearts. 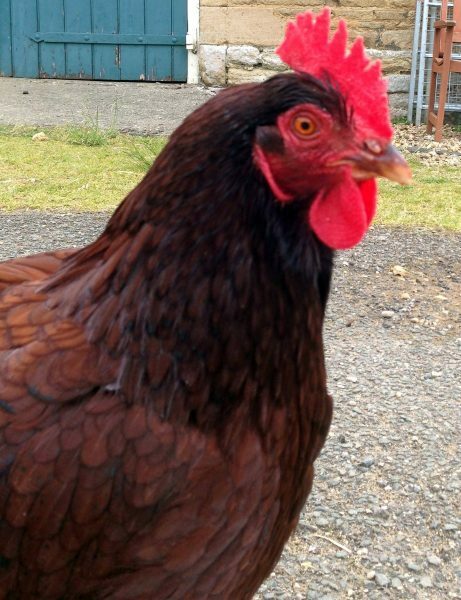 On Boxing Day, our beloved Rhode Island Red chicken, Penny, passed away. She was six-and-a-half years old, which is a pretty good innings for a chicken. She stood out to the team at Sacrewell, and our visitors, because she was so mischevious-often taking the short cut through Reception to get to the other side of the farm (having discovered the automatic doors open on demand), or “begging” for scraps of food. On Grow Your Own Day, Penny was often found digging up the seeds that had just been carefully planted, and pecking them down as a snack. We know our visitors enjoyed Penny’s antics as much as we did, and she will be greatly missed.